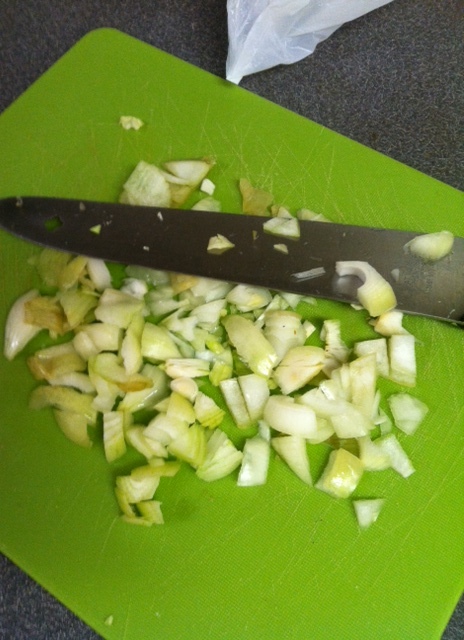 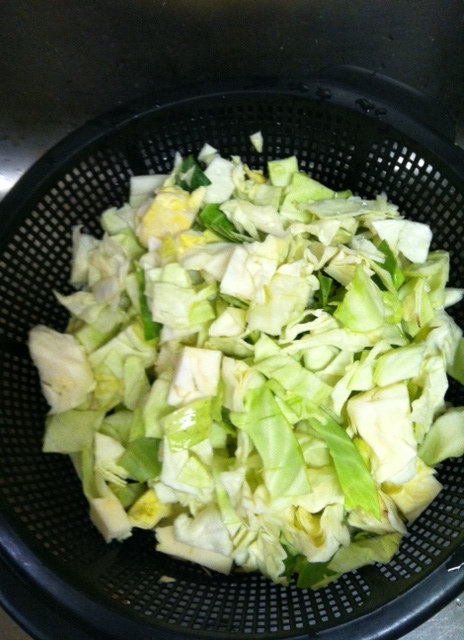 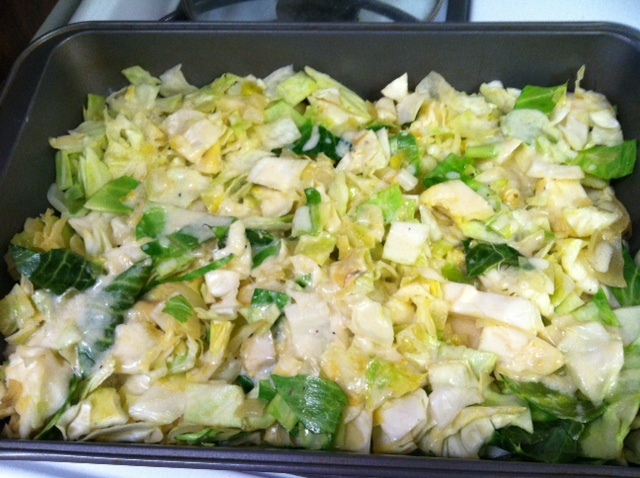 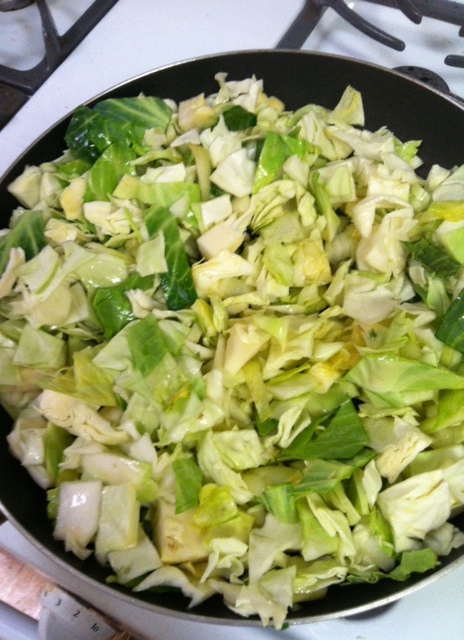 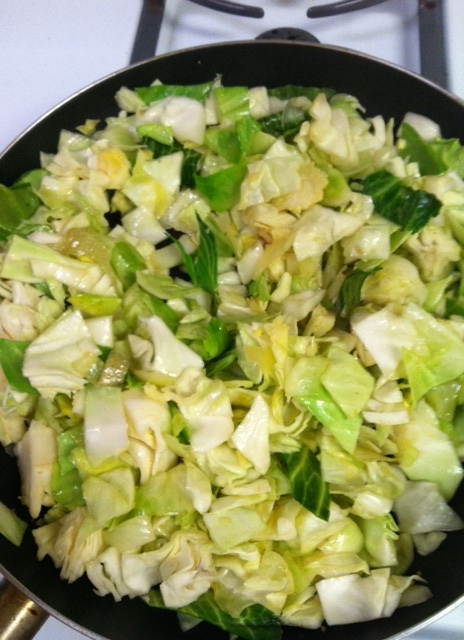 Saute chopped cabbage and onion in the olive oil and garlic until colors brighten. 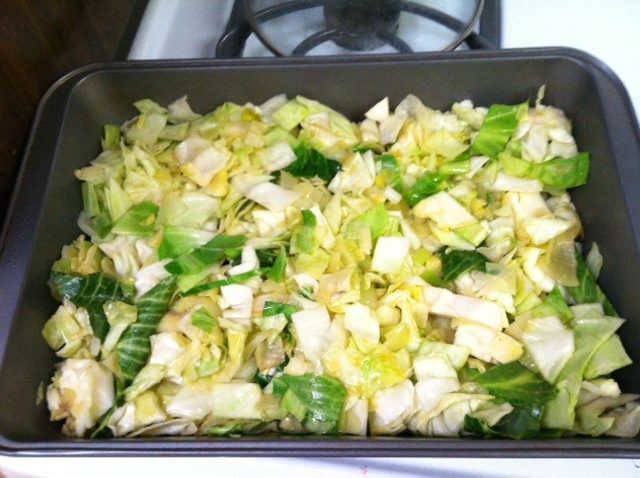 Transfer to a casserole dish. 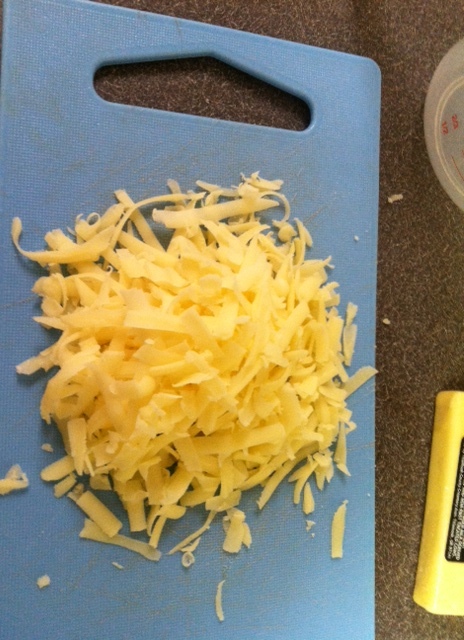 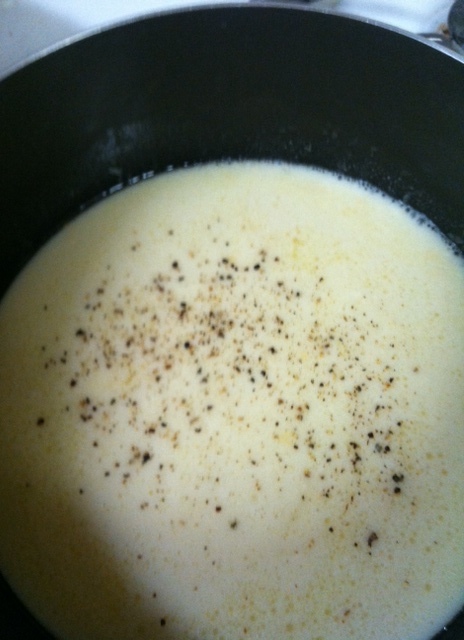 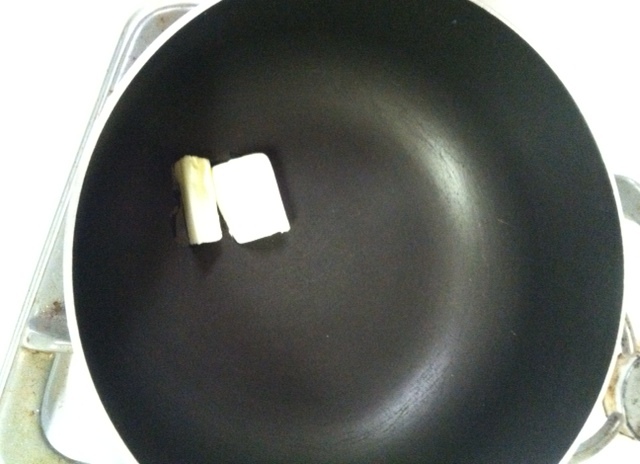 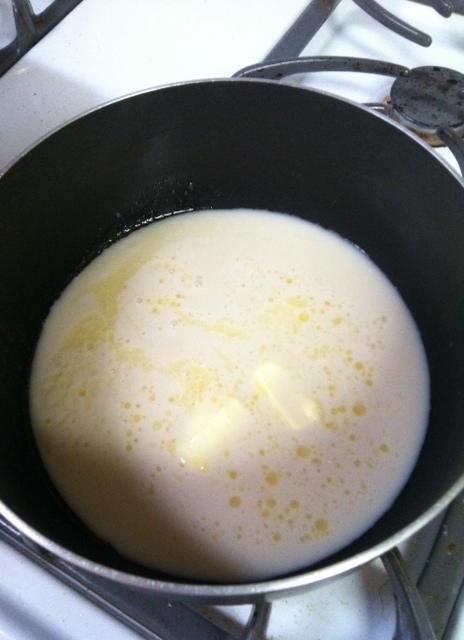 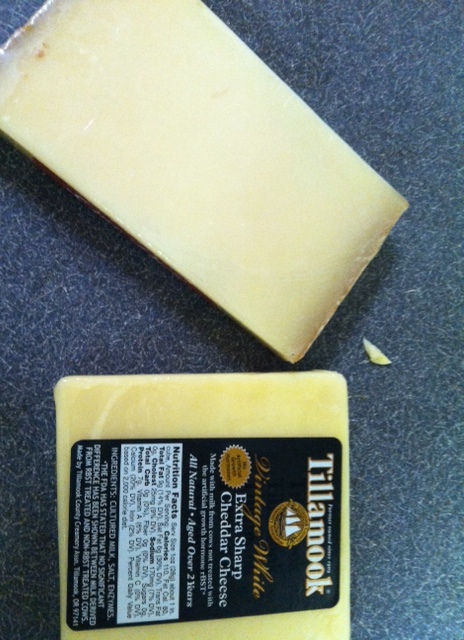 Melt butter in a saucepan, and then add milk, cheese, mustard, and pepper. 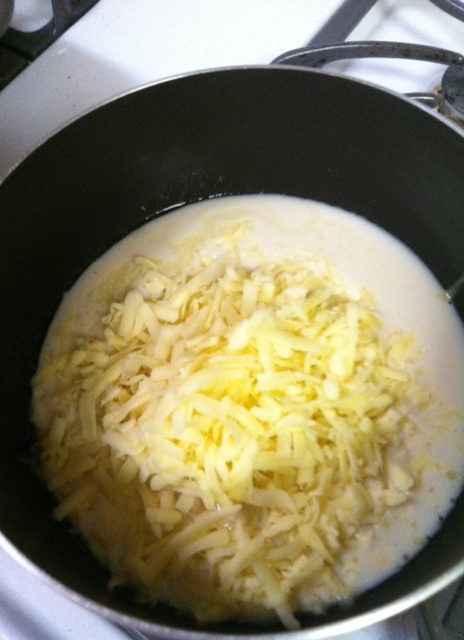 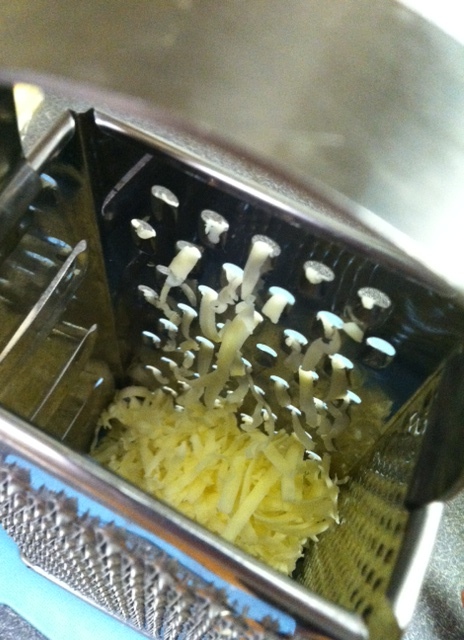 Stir constantly until cheese melts. 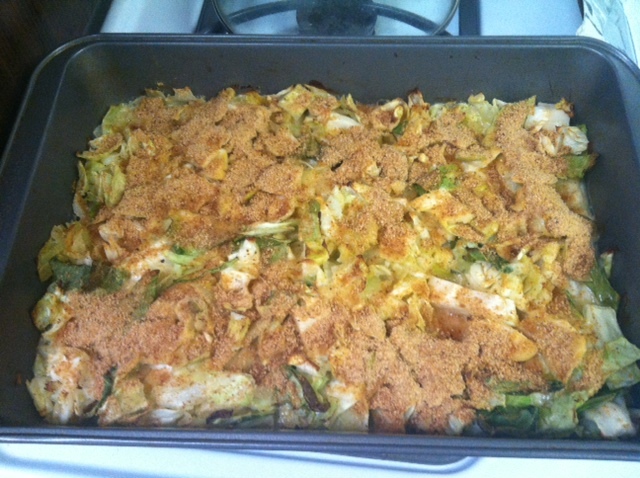 Pour cheese sauce over the vegetables and top with bread crumbs. 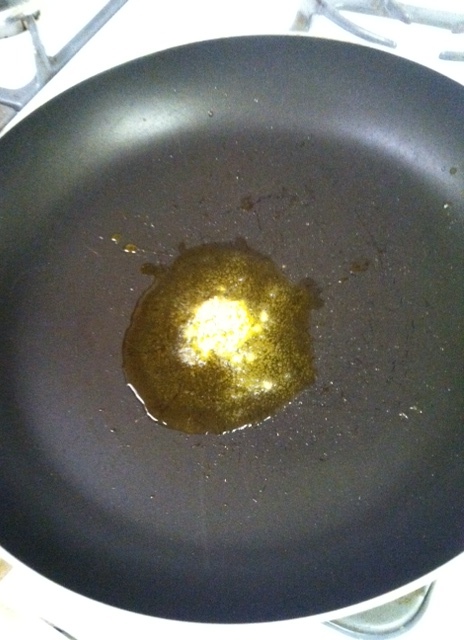 Bake at 400° for 20 minutes. 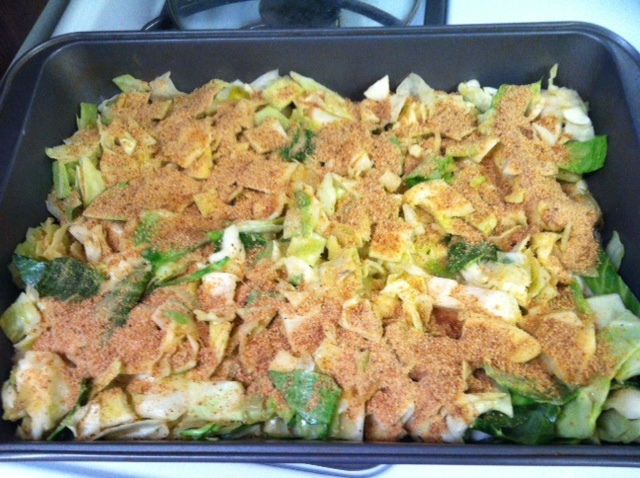 Pesach is over…and now PIZZA! 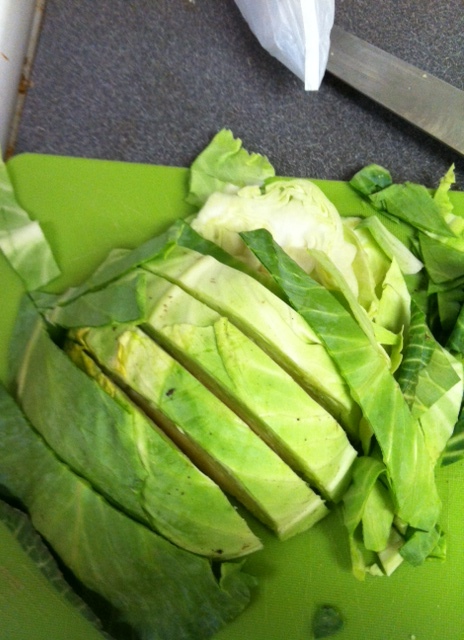 Tu B’shvat – birthday for the trees!